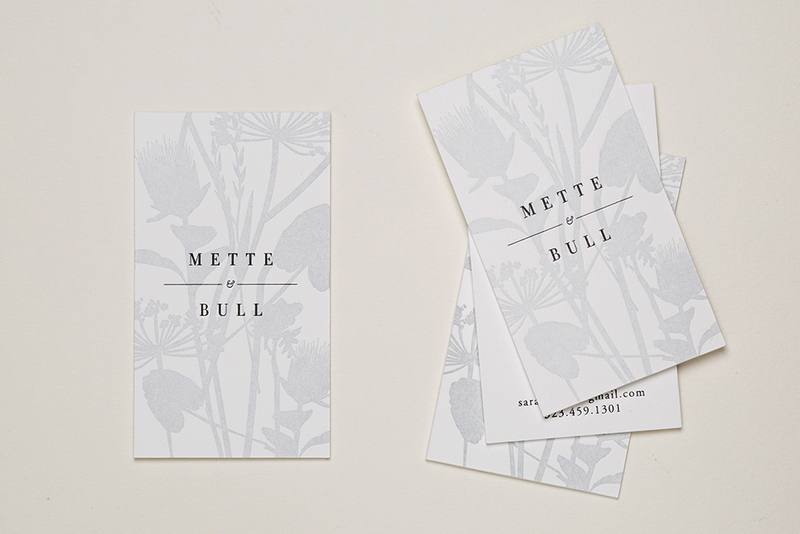 Designed for L.A. based interior design duo Mette + Bull, these custom business cards were letterpress printed on Crane’s 220 lb. Cotton Lettra. The floral pattern was inspired by designer Nancy Mette's love for Cole and Son's Cow Parsley wallpaper.